Instead of only churning out figures for the latest blockbuster film to hit theaters, NECA has been recently digging deep into the nostalgia archives. Following up on Home Alone and Contra figures, the company just teased an official “Weird Al” Yankovic figure on its Twitter feed. Aside from a single image of the upcoming “Weird Al” figure, NECA hasn’t shared any other details just yet. But it looks like longtime fans of the musician will be able to swap in one of two different heads for Yankovic’s younger or older looks. 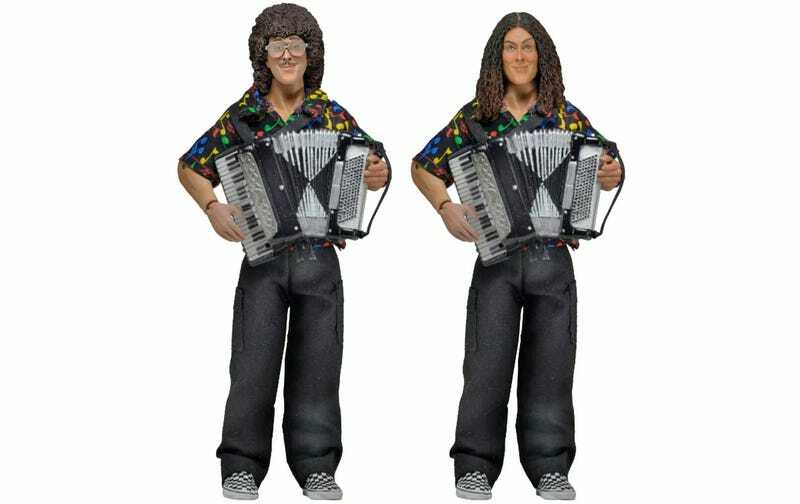 And, yes, “Weird Al” will also come with his accordion, and classic checkered Vans sneakers.